Top Ten Books on my Winter TBR List - My Life Is A Fairytale That Will Never End. 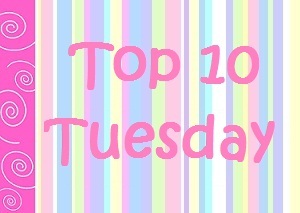 Top Ten Books on my Winter TBR List! Obviously. I loved Unearthly so much!! I can't wait to read this book! Ohh I've finished yesterday night Demonglass. I couldn't stop reading .. until it was 5 AM and I finished the book. I totally love this series! SO yeah I can't wait to read this book! The cover of this book is so, huh, pure. I need to read this book! Ohh I need to start this series soon. They all said it's great. I bought this book 3 weeks ago. I so need to start reading it. Perfect for winter time! it's time to start this one as well. This one looks nice so yeah. I wanted to read Divergent, too! I immediately wondered why I failed to include it in my TBR list. Oh well, I'm all for love, love, love this winter. Let me know what you think about Divergent. Hi Nea! Thanks so much for dropping by my blog! I'm planning to go into romance for a while. And when I decide for a change, I plan to go to dystopian stories. I'm such a scaredy-cat so I'm not sure horror and paranormal romance will be in my cup of tea this year or next year.